With the passage of time comes the need to update the standard design of some of our everyday objects. 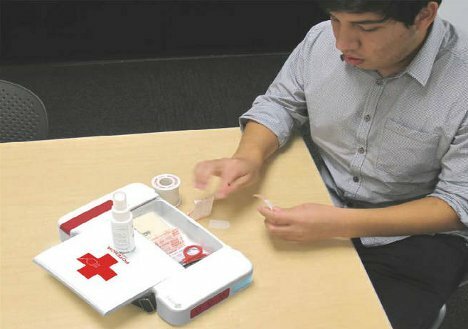 The first aid kit, such a common sight in offices, classrooms and many other places, is one of those things just craving an update. Industrial designer Steven Corraliza tweaked the classic design in just the right way to bring it up to date. 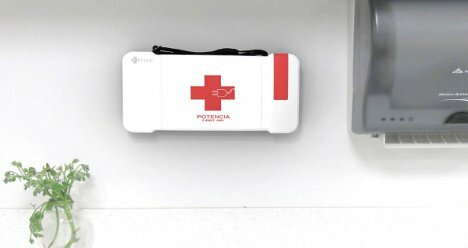 The Potencia, Spanish for “power,” contains everything you would expect to find in a first aid kit. The bandages, gauze, scissors and alcohol are rather predictable. But then there are some unexpected items as well: rope, flashlight, and an emergency foot-pedal generator. 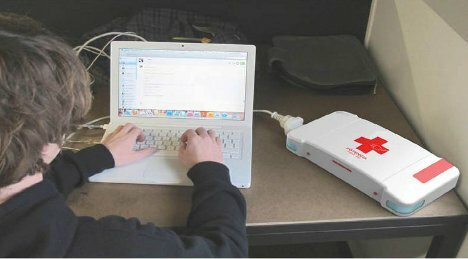 The kit is meant to keep people connected even when a natural disaster strikes. In addition to patching up minor cuts and scrapes, the Potencia helps provide emergency power to gadgets like phones and laptops. It can be mounted right on the wall so it’s ready for whenever you need it…which hopefully is no time soon. See more in Energy & Power or under Science. February, 2012.